Nothing is impossible if you know the right ways to accentuate your body curves with appropriate outfit! Always Remember one thing in fashioning that your unique style concept inspires every one so don’t afraid to go of the box to try uncommon pattern because that’s the only way to set a nice fashion example among crowd. Today we will be giving you some important suggestion that will your dressing uncommon. Many girls have a habit to stick with few favorite colors in traditional salwar kameez and that thing leads them to stereotypical stare so whenever you go for shopping make your selection on varicolored top and bottom because that’s the real key to make people follow you. 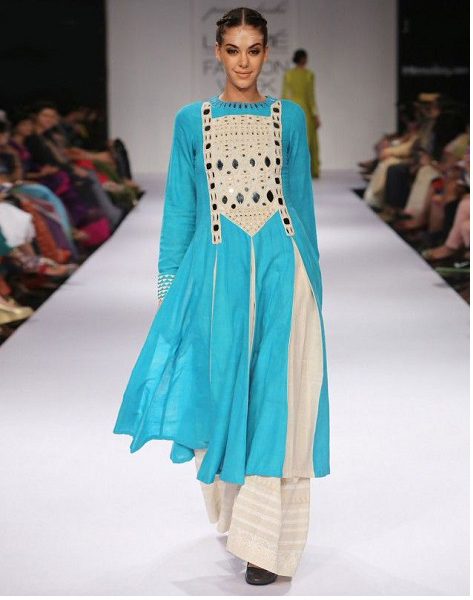 Try out the designer indo western dresses for womens and see the magic work in your favour. Ordinary females don’t get tired wearing dresses with having same old patterned cuts and shape but you are not one of them so just look out one of its kind ladies attire that is crafted with different cuts and shape. You will find so many unique patterns in online shopping so buy it now. Bottom plays a big role in entire look so instead of wearing same fitting and length in bottom henceforth, try out different length and size in bottoms. You can clearly observe here in image that how these Bollywood Celebes above have done the trick. You will do the same to inspire everyone around you. 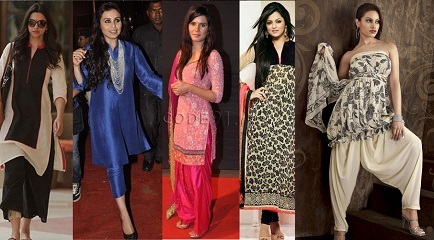 Start with the patiala salwar kameez dress to give you a quick boost by visiting this page.. Printed top and plain bottom is the most common pattern of contrast match and common female’s pair. So if you want to come out of the crow then just try the opposite like you see above. Like every other thing these three essentials are also very important so, first decide your clothing pair then accessorizes yourself accordingly. We hope these suggestions will be very handy to improve your fashion games in 2016. Next time we will come up with something more motivating and exciting, so stay connected with us.